HELSINKI — Opposition leaders in Norway want the government to suspend exports to Middle Eastern states engaged in cross-border conflicts or internal unrest. Norway’s arms export policy has come under close scrutiny from a number of political parties led by the Socialist Left Party, or SV, in the national parliament. The push for tighter controls arises as latest data reveal Norwegian arms exports rose by 10 percent in 2016 to 3.6 billion kroners (U.S. $442 million). The figures indicate that the Middle East is becoming a more important market for Norway’s defense companies. “There should be more checks and balances to our exports that prevent the weapons and munitions we export from being used in conflicts, such as the war in Yemen where Saudi Arabia is the key actor. Norway’s foreign ministry is unable to say if Norwegian weapons are being used in such conflicts,” said Petter Eide, a lawmaker with the SV and a member of the parliamentary Justice Committee. The increase in export business to the Middle East is proving a cause for concern in some political quarters in Finland. 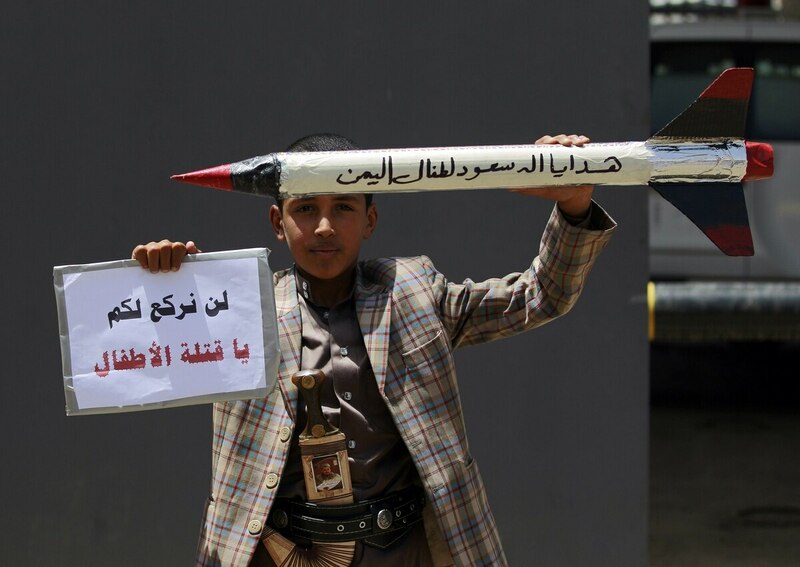 The SV, which is lobbying support from among the Liberal, Centre, Labour and Christian Democrat parties, hopes to pressure the government into banning arms sales to Saudi Arabia and its ally nations in the Middle East who joined the Saudi-led intervention in Yemen’s civil war. “Ideally, we should see a halt to the sale of weapons, munitions and other military hardware to countries in the Saudi Arabia domain fighting in Yemen,” Eide said. Consequently the SV wants the ban to extend to Saudi Arabia’s main allies in Yemen, including Oman, Jordan, Kuwait and the United Arab Emirates. The SV expects to harness support from Labour and the Centre. Together, the three parties were part of the red-green coalition that governed Norway from 2005 and up to parliamentary elections in October 2013. The present government, in the shape of Prime Minister Erna Solberg’s Conservative-Progress coalition, has shown no immediate urgency to introduce new policies to tighten existing arm export rules and regulations. Military sales to countries applicable under the new proposal would be regulated according to tougher humans rights criteria. “All export applications are thoroughly and concretely evaluated on an individual basis,” the minister said. Rocket engines, weapon systems and ammunition are among Norway’s leading export products. The country’s two biggest exporters are Kongsberg and Nammo. Of the $442 billion in exports recorded in 2016, $357 million comprised weapons systems and munitions. Exports of dual-use items, involving civilian products with military uses, amounted to $37 million. Norway’s arms export regulatory agency refused 34 applications for licenses to export defense-related products in 2016. To ensure Norway has a viable defense industry, the government needs to help enable defense companies to participate in international cooperation, Søreide said, adding that Norway will continue its long-term approach and ensure predictable export controls. “The defense industry is a driver of technology development, including in the civilian sector, and it is important for innovation and value creation all over the country,” Søreide said.